Merch Monday: Official Sentai Filmworks Dungeon Loot! It’s a great day for adventuring; the weather is perfect, your weapons are ready, and you’re prepared for the monsters ahead of you. The wind urges you forward toward the towering dungeon, giving you chills that are a hybrid of excitement and fear. Your next feat of strength is just ahead of you! That’s the dream of every adventurer, and you’re almost there! 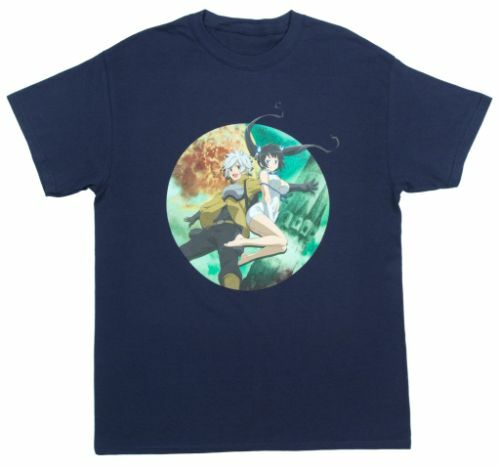 This Merch Monday, we’re highlighting our Is it Wrong to Try to Pick Up Girls in a Dungeon? collection to get you prepared for all of life’s various boss fights. Is It Wrong to Pick Up Girls in a Dungeon? Is It? No, of course not. Answer the question with pride as an adventurer of Orario with these title inspired shirts! 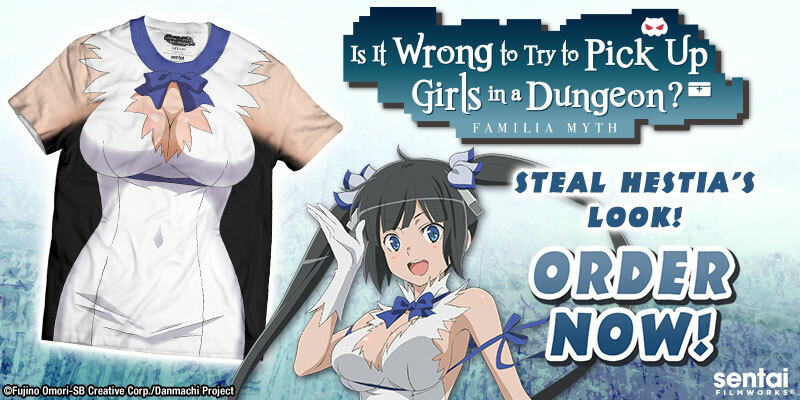 Become a true dungeon adventurer with this Is It Wrong To Try To Pick Up Girls In A Dungeon? tee. 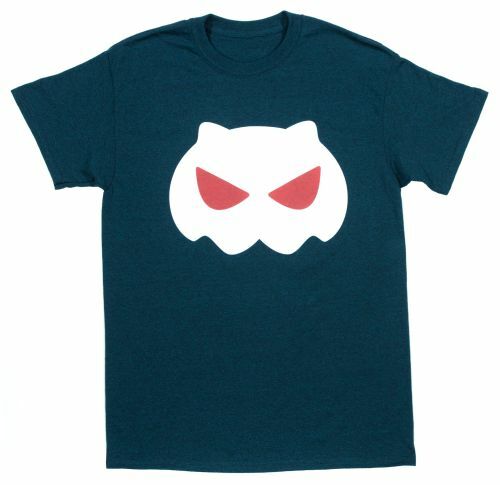 Around the office we call it the “ghost cat”, but officially all we know is that it’s definitely epic quality gear. Equip now for an overall stat buff. Is It Wrong To Try To Pick Up Girls In A Dungeon? That age old query is emblazoned in attractive graphic text on this official crew neck t-shirt! Leveling has never been so easy! 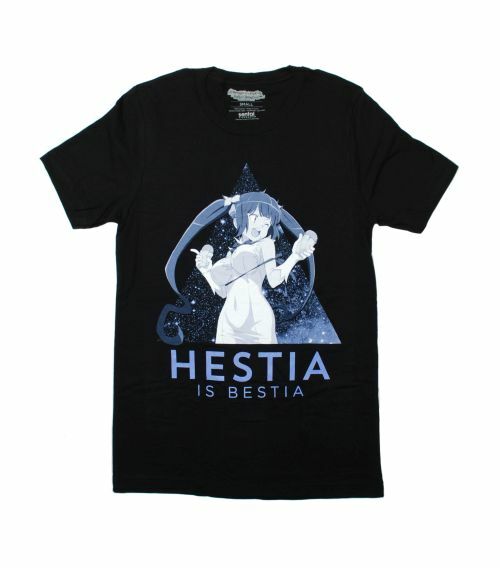 Just put this Hestia and Bell shirt on and voila, instant awesome stats. It’s really a win-win. 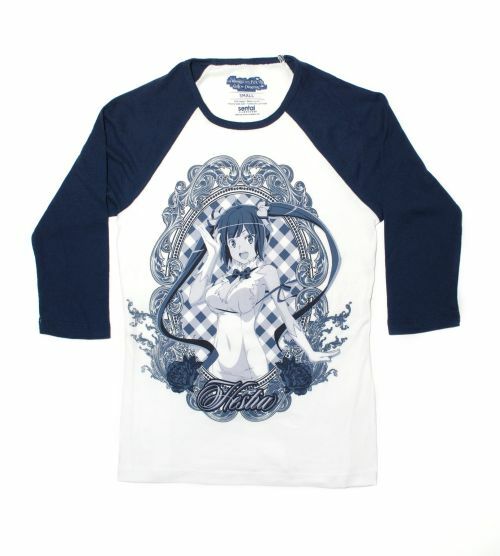 Honoring Our Favorite Goddess – Hestia! This collection wouldn’t be complete without a section entirely devoted to veneration of the best-ia blue-ribbon-clad goddess of them all, Hestia! All of Hestia's assets are yours to represent and, with the security of this ribbon, you can adventure (or cosplay) with confidence! The Hestia familia needs more members! Keep that smile on our favorite goddess's face by proudly displaying your meme-worthy loyalty to the best goddess. Rest easy as you venture further into the dungeon, for you have the cutest goddess' blessing! Bell may be the only official member of the Hestia Familia, but that doesn’t stop him from gathering a party to adventure with him, proving that a dungeon party can become a kind of “familia” by itself! 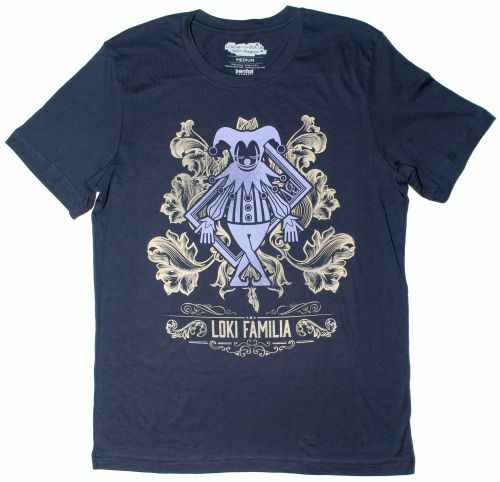 Join the Loki Familia! +5 to attack and defense. +10 to charisma. 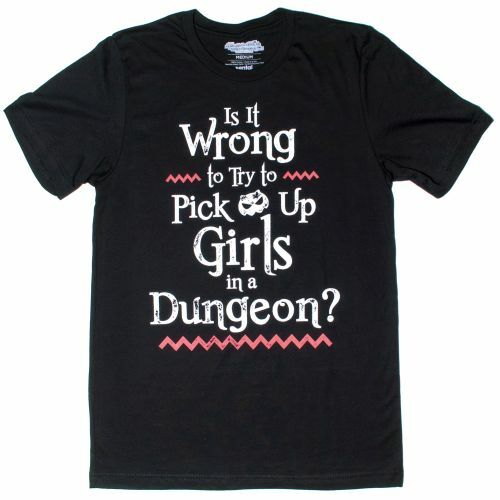 Gear Up for the Dungeon, Adventurer! We may not be facing literal dragons,minotaurs, or killer rabbits, but that doesn’t mean you shouldn’t be prepared! Level up your wardrobe with some of this loot today. Who knows, maybe they’ll activate a special skill of your own!